Emergency Plumbers Hampshire p24-houra 24 hour emergency plumbing repair service to the industrial and commercial sectors in Hampshire. No matter if you’re suffering from leaking radiators or burst pipes, overflows running, toilets not flushing, blocked toilets, leaking taps, faulty valves or no hot water, our 24 hour emergency plumbers have the experience and knowledge to deal with most situations in a timely and cost effective manner. We also carry out works on unvented hot water systems to industry accepted standards (G3). Whether it be a factory, warehouse, multi-storey office block, new build building site or any industrial or commercial building, our aim is to offer a solution. 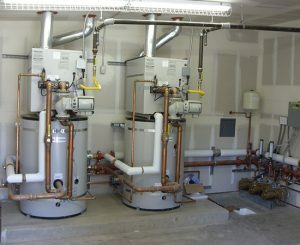 Also, If you are in a hotel or restaurant, nightclub venue or similar, and require installation and/or commissioning of commercial plumbing pipework, bulk storage water heaters or any other equipment or pipework, then we can provide a detailed installation specification tailored to your requirements. We’re confident we can provide you, our client, with a bespoke solution at a very competitive price. So, for more information from the leading commercial plumber in Hampshire, give Emergency Plumbers Hampshire a call today on 07852 583 351. We would very much welcome the opportunity to discuss your commercial plumbing requirements in greater detail.